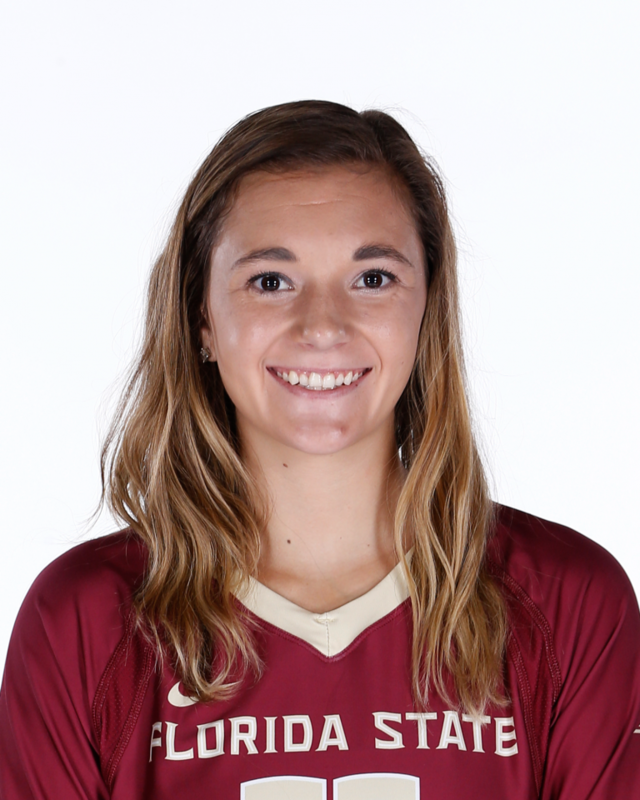 Played in 18 matches (63 sets) at libero … tallied 20+ digs in six matches … notched 18 digs vs. Rutgers (10/6) … tallied 25 digs at Michigan (9/30) … posted 19 digs at Michigan State (9/29) … notched 20 digs vs. Furman (9/2) and Toledo (9/8) … posted 22 digs vs. Elon (9/2) … had 23 digs at Liberty (9/1) … notched 21 digs and six assists vs. Temple (8/26) … tallied 19 digs and six assists vs. Northeastern (8/26). Appeared in all 32 matches (114 sets) at libero … lead team and ranked third in the Big Ten with 4.22 digs per set … posted 16 digs against Indiana (11/25) … notched 17 digs and two assists vs. Purdue (11/23) … posted 14 digs at Northwestern (11/19) … tallied 19 digs and five assists vs. #10 Penn State (11/13) … notched 16 digs and four assists at Purdue (11/2) … posted 20 digs vs. #19 Ohio State (10/26) … notched 13 digs and eight assists at Rutgers (10/22) … tallied 26 digs and four assists vs. #16 Michigan (10/19) … posted 13 digs vs. Iowa (10/14) … notched 18 digs and a career-high six service aces vs. #24 Illinois (10/2) … tallied 17 digs at #3 Wisconsin (9/24) … posted 12 digs and three assists vs. #21 USC (9/16) … set a career high with 28 digs vs. Oklahoma (9/16) while adding four service aces and five assists … notched 23 digs and seven assists vs. Towson (9/10) … made 21 digs and 10 assists vs. Princeton (9/9) … tied a career high with 27 digs vs. #4 Kansas (9/2) … posted 19 digs and five assists vs. Arkansas (9/2) … made 10 digs with two assists and one service ace vs. Sacred Heart (8/27) … notched 12 digs and three service aces vs. Delaware State (8/27) … tallied 18 digs and four assists vs. Eastern Michigan (8/26). Played in all 33 matches with two starts and 17 appearances at libero … made 11 digs at Northwestern (11/28) … notched 11 digs and two aces vs. Iowa (11/25) … led the match with 13 digs at #4 Penn State (11/20) … led the match with 13 digs at #3 Minnesota (11/18) … served two aces and notched 13 digs and four assists vs. #1 Penn State (11/5) … tallied 27 digs at Iowa (10/30) … notched 23 digs and three assists vs. Rutgers (10/24) … posted three aces, three assists and 26 digs at Rutgers (10/21) … tallied two service aces and 13 digs at Michigan State (10/14) … served two aces and dug eight balls vs. #16 Wisconsin (10/10) … served four aces and made 10 digs at Indiana (10/2) … notched 11 digs vs. Northwestern (9/26) … served one ace and made 11 digs at Oklahoma (9/18) … posted two kills, two assists, two serivce aces and nine digs at Navy (9/12) … notched one kill and two service aces against George Mason (9/6) … served three aces and posted 11 digs against Western Carolina (9/6) … served three aces and made 15 digs vs. Penn (9/5) … recorded 11 digs vs. Duquesne (8/28) … made collegiate debut vs. Morgan State (8/28). Four-year letterwinner at Geneva High School … set the single-season (815) and single-game (49) digs records at Geneva … three-time Defensive Player of the Year (2012-14) … two-time team MVP (2013, 14) … named All-Area by the Kane County Chronicle and Daily Herald in 2013 and 2014 … tabbed to the All-Conference team in 2013 and 2014 … team captain in 2014 … named Chicago Tribune Athlete of the Month in 2014 … earned All-State honors in 2014 … also lettered in basketball … also played for Club Fusion … named the Wisconsin Dells Showcase MVP in 2014. Born on May 1 … Daughter of Rob and Gina Wicinski … father played football at Northern Illinois (1981-84) while mother played volleyball for the Huskies (1983-86) … has two sisters, Lauren and Jessica … Lauren played volleyball at Michigan State … Jessica played volleyball at Quincy University … majoring in social science.